The success of Vklass is to offer students a rich community like the one they are accustomed to from such Facebook. For today’s young people, the internet and the communities part of the interaction and everyday life. 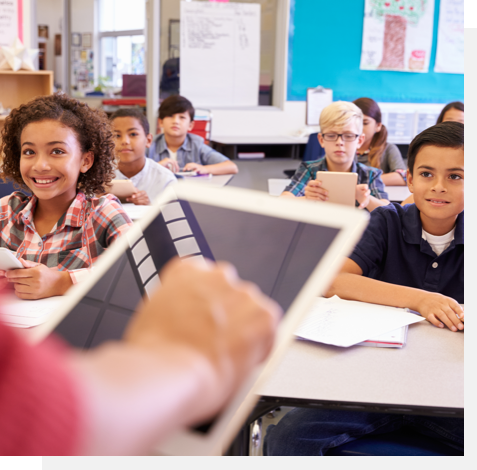 Vklass gives students access to communicate with their teachers and schoolmates online, as well as a private place for their own texts, music and pictures. Vklass delivered as a cloud service (SaaS), where all the schools are in the same system. A teacher from Trelleborg to discuss and share lesson materials with teachers in Botkyrka, Karlstad and so on. Teachers can send text messages to their students. A good way to inform about such a lesson is set. SMS can also be sent to parents in absenteeism, etc. Vklass is a community (type this). It allows communication with parents, students and teachers are very simple. Messages can be private, open to one person or a whole group. Teachers can add tests in a single test calendar on the school to ensure that the sample does not clash. You can also create assignments that can be submitted digitally by the students. Does the school have a plagiarism control instrument or Euphorus submitted student work directly there. It is easy to get to his schedule in Vklass. There are also calendars showing other events at the school. There's menu and file archives, where the school can collect such newsletter. Files can be shared with students in a class, a course or topic, as well as throughout the school. Teachers can cooperate with each other by sharing of lesson materials, sample etc. Vklass is updated according to the latest advice from the National Agency. There is support for the ILP for primary and assessment functions specifically developed for high school. Printouts of class lists, stats, results, attendance and reviews can be done via printing functions where the information can be exported into PDF / Excel / Word / CSV / RTF. Vklass has over 250 integrations to both content providers and administrative systems. Read more here!